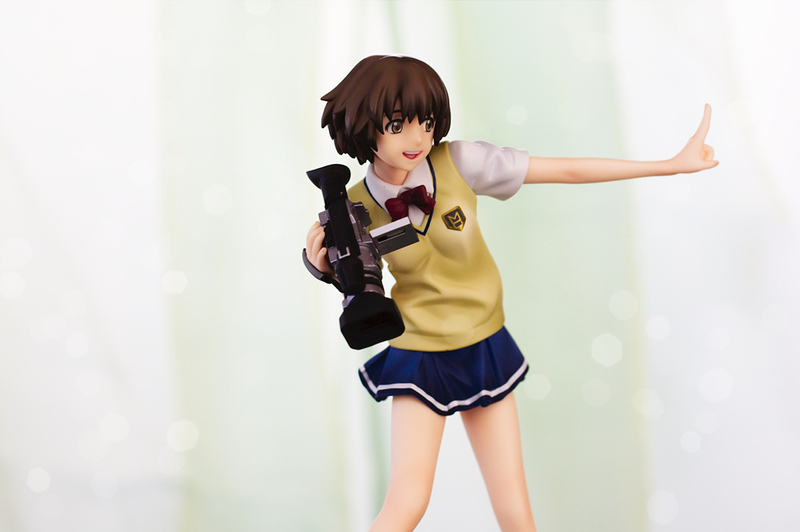 Hi fans, today I’ll present you a new figure review. Its been a few figures since I reviewed a figure of them, so lets give a warm welcome to ALTER’s Kaminagi Ryoko, as I saw the figure for the first time I thought she was boring, but at least I got interested in her origin Zegapain and after watching it I actually fell in love with her character. Ryoko is a childhood friend archetype character. But nevertheless she is one of the more interesting childhood friends, she is not very hot in terms of looks, but she has an enchanting kind and upbeat personality, her voice actress Hanazawa Kana also gave her a very fitting voice. Im hard to please when it comes to figures from my favorite anime characters, Im already that picky that if at all I only own very few figures of my favorite anime girls 😀 anyway ALTER’s attempt of Kaminagi Ryoko convinced me very quick and the pre-order was set in stone. Kaminagi Ryoko ~Resurrection~ is actually the second figure of her character, in 2007 ALTER already produced a figure of her. 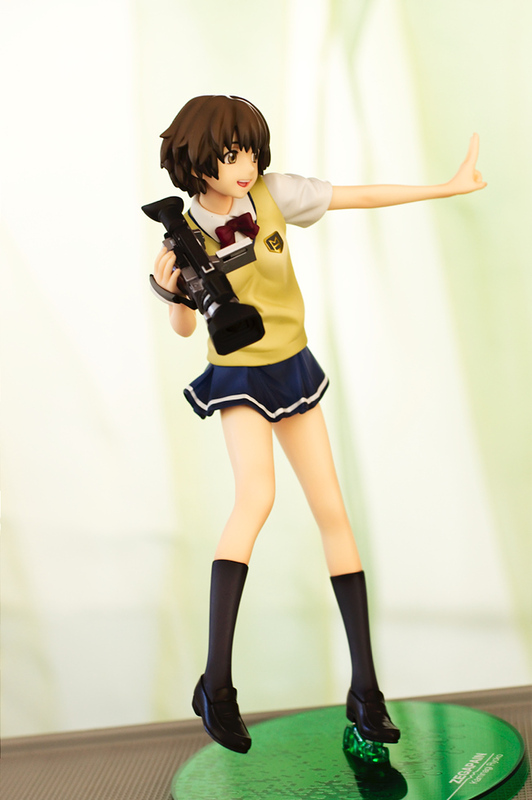 The new figure is scaled 1/8 and has a height of 195mm. 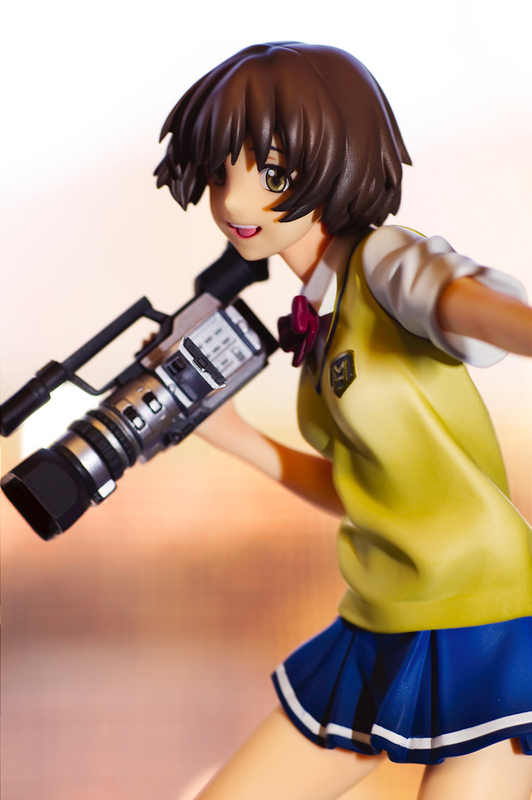 Her release date was on 11th January 2012 and I got her for 4,930 yen at Hobbysearch w/o shipping. Lets start the real review with talking about her head, she has a short frizzy hairstyle in a natural dark brown colortone, really nicely sculpted and with many strands. Her face can’t be described with more than truly adorable. The yellow-greenish eyes are very detailed and radiates a lot of happy energy and in combination with the bright front teeth line smile she is just enchanting. Inagaki Hiroshi, her sculptor really nailed down Ryoko’s look from the anime. The outfit is straight plain, there is not much to sugarcoat about it, its a bourgeois sand colored slip over with a short sleeved shirt underneath. At least the wrinkles are made very detailed. A more exciting part about her outfit is the super short skirt, it has a good looking dark blue to dark gradient with a white line around, it also has a very well sculpted flow with realistic wrinkles. 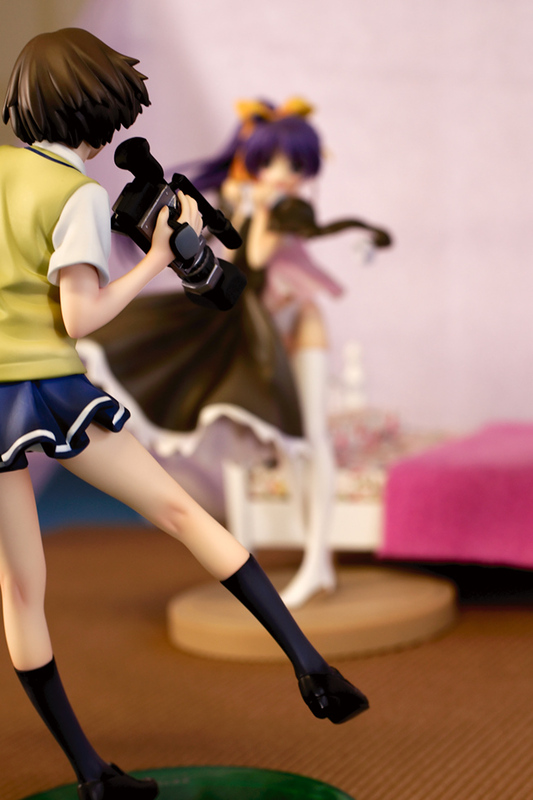 The skirt is short but her white pantsu is only visible from behind, at the front she stays modest. Furthermore she has a red ribbon around her neck and at her legs and feet she is wearing dark socks and the normal brown highschool shoe model which is often used at japanese schools. 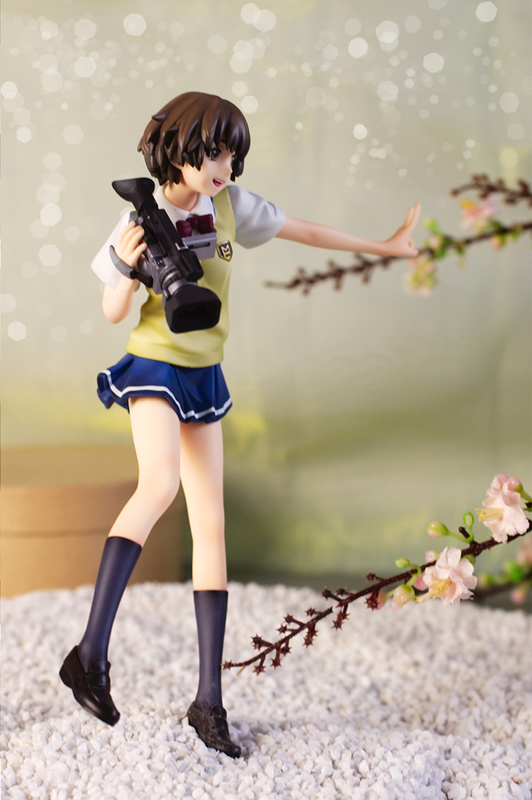 The slender body and the normal sized head give Kaminagi Ryoko’s a more realistic touch and also the clothes give her the look of a normal schoolgirl. She has naturally colored fingernails. While the outfit leaves a rather plain impession, her pose bristles with dynamic, she has a very lively body language with one leg in the air and the outstretched arm with the victory sign hand. 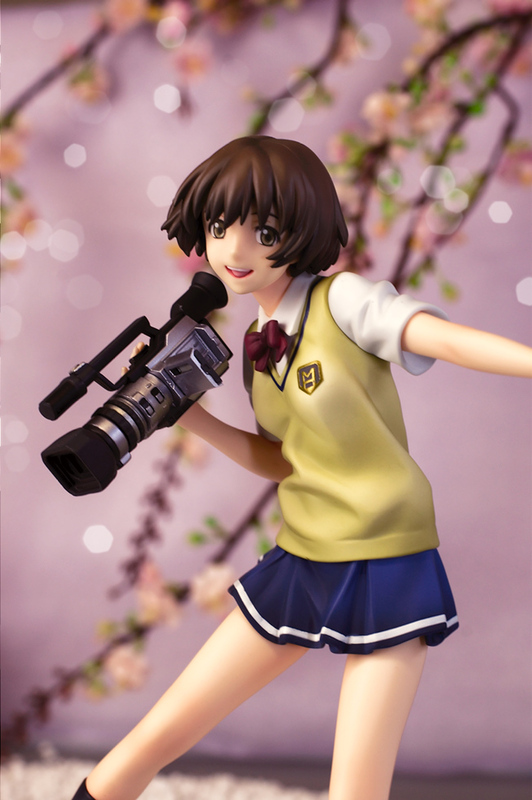 Ryoko is an A/V enthusiast and her favorite hobby is filming with her high end videocamera, the detail on it is very well, done. There are detailed buttons and a LCD monitor, ALTER also put clear plastic parts at the lens and into the viewfinder. 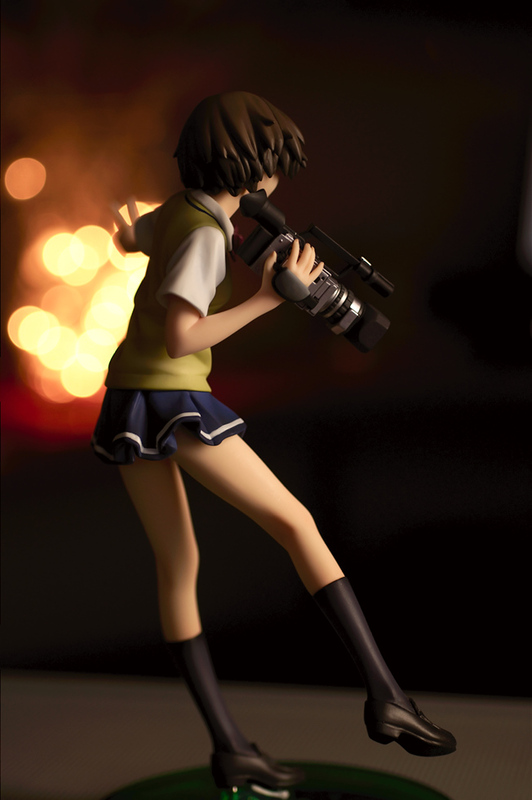 The camera makes the figure more interesting. 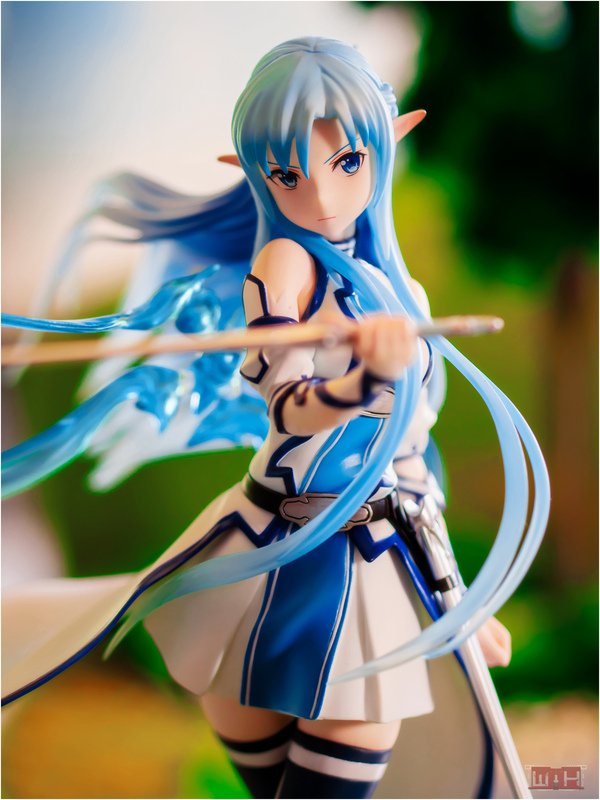 Kaminagi Ryoko ~Resurrection~ is a very nice figure and proves that ALTER also is able to make cute figures. Im an enemy of western school uniforms, but I can say that the overall figure makes up for the boring design of her upper outfit, hehe yeah the short skirt is ok ^^. 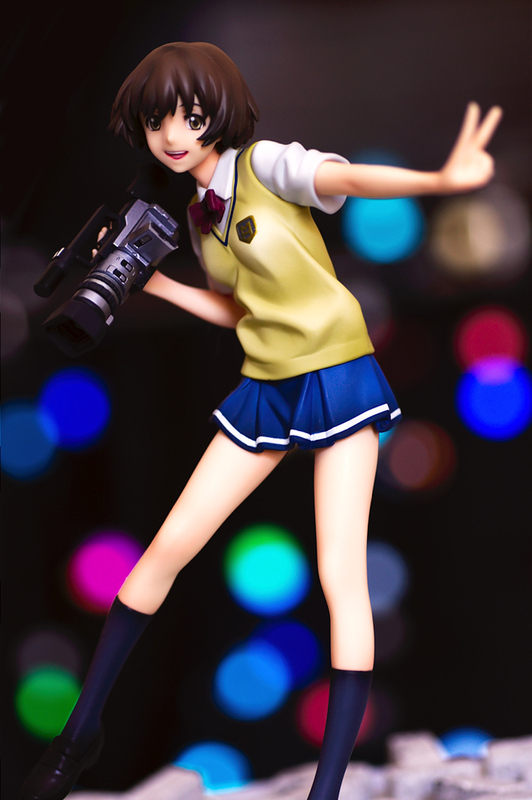 The figure has a lively pose and a cheerful expression if you were a fan of Kaminagi Ryoko in Zegapain, this would be the right choice, it’s not like there would be any alternative figure out there. 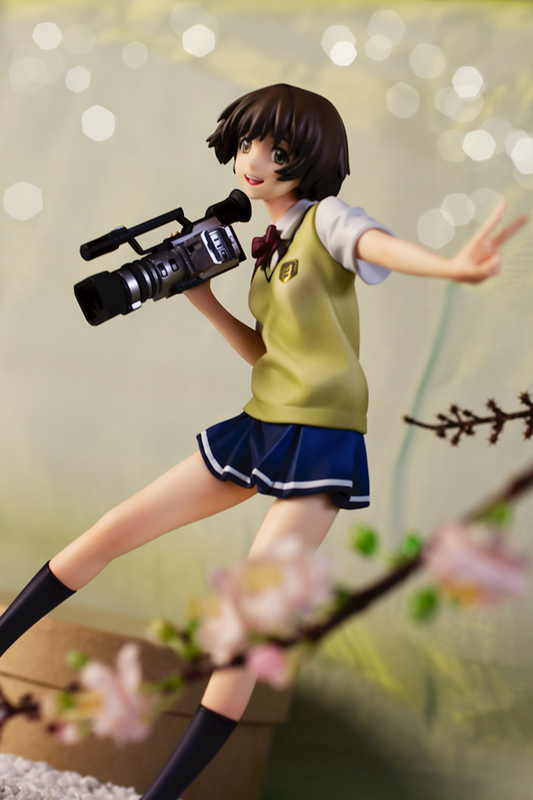 In case you don’t know her, you would receive a well made figure of a cute and energetic girl holding a camera. 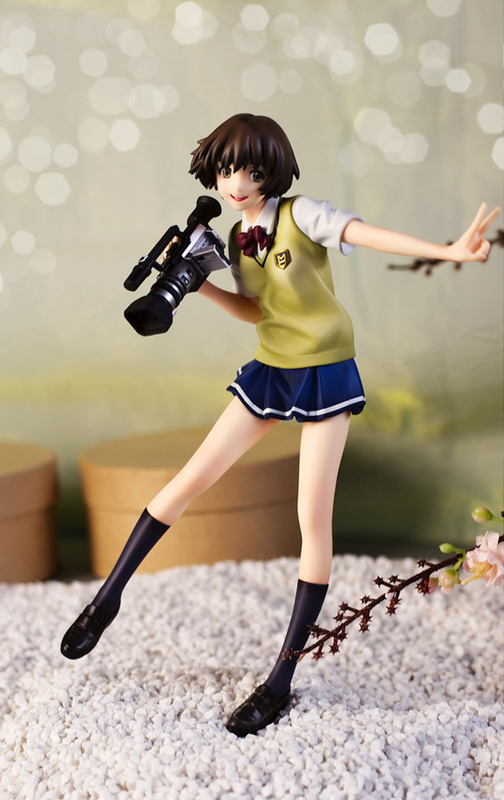 I really wanted Alter’s first Ryoko figure, mainly because her skirt was so short and also because she looked like an older Yurie Hitotsubashi from Kamichu!. I never got it though since I was broke and unemployed at the time and I didn’t know much about Zegapain; the only things I knew about it was that it had mecha and that there was an Xbox 360 game, which was sorta weird since the 360 was still pretty new at the time but everyone already knew it wasn’t going to do well in Japan. I’m glad to see Alter make another figure of Ryoko, though; they always do great stuff but for some reason I’m especially happy to see them make figures of characters that aren’t well-known and aren’t going to get figures from other manufacturers. 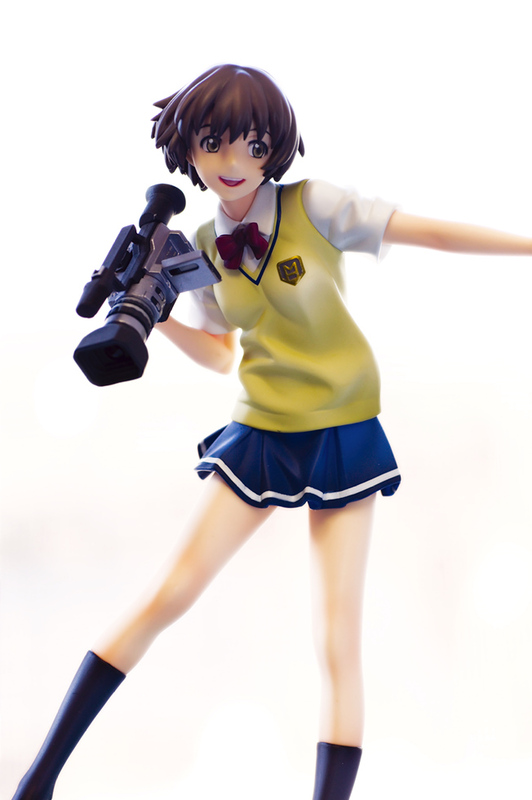 Ryoko is maybe a bit plain-looking but that just directs more attention to her winning smile, the elaborate video camera, and her tiny skirt. There’s something good to be said about a figure that makes you happy when you look at it. 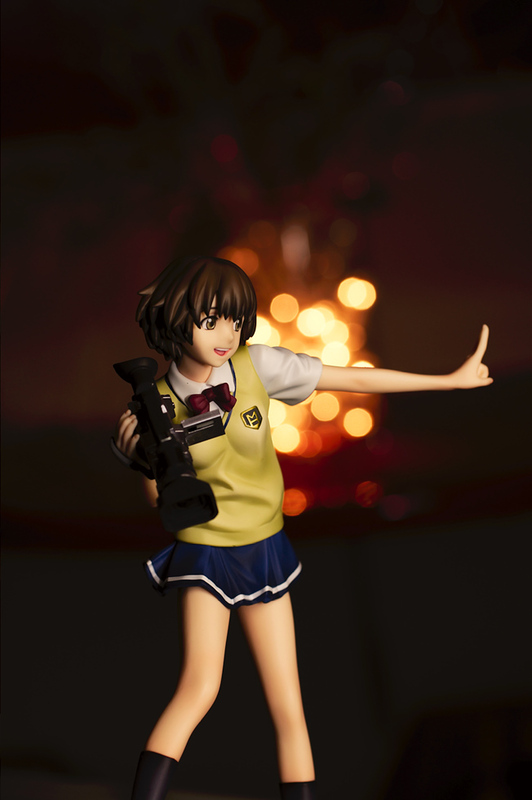 She looks a bit similar to Yurie, by the way Yurie also had a nice figure I would like to have now, but her aftermarket price is terrible. Its nice that I stumbled over her and it was a lucky coincidence that I watched the anime shortly after her announcement. Good thing to finally see this figure up close. 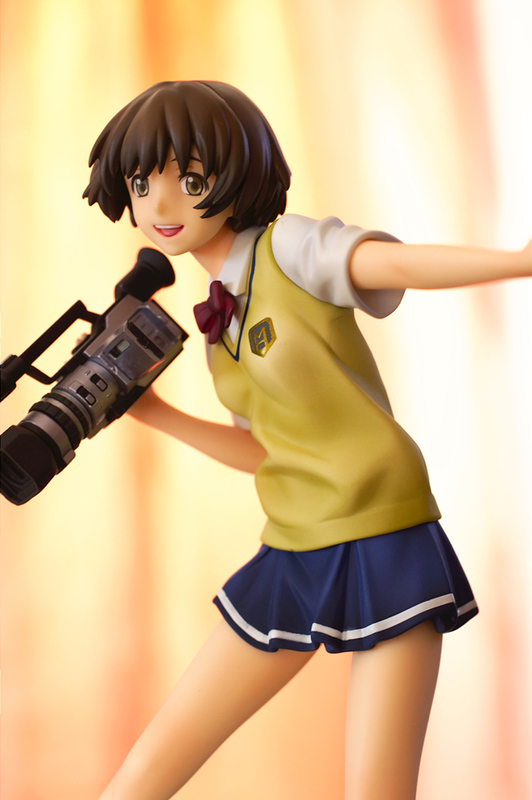 Much like before I still find it charming, I like her expression and energetic pose. I should know better but Alter still surprises me when the put small details such as those found in the video camera. 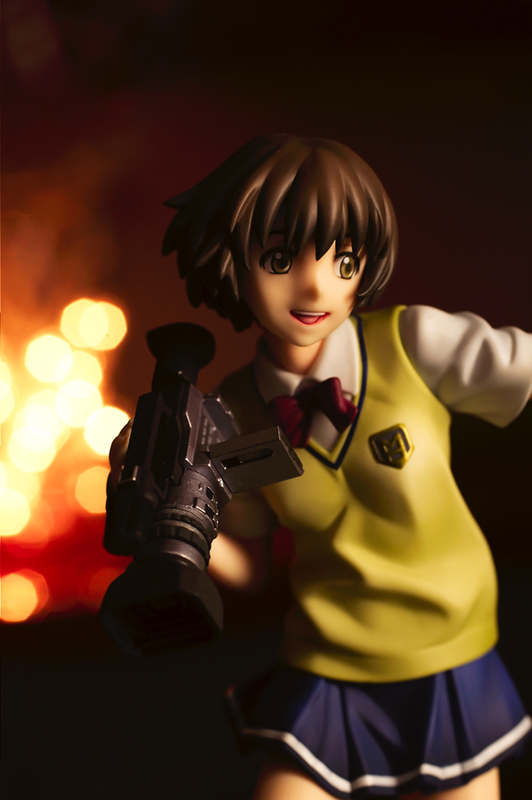 Also nice pictures with the bokeh, really like pictures 18 and 22, and the last pictures is just funny. Well, I could have been a bit faster with the review, but at first I had no real idea for a shooting setup. 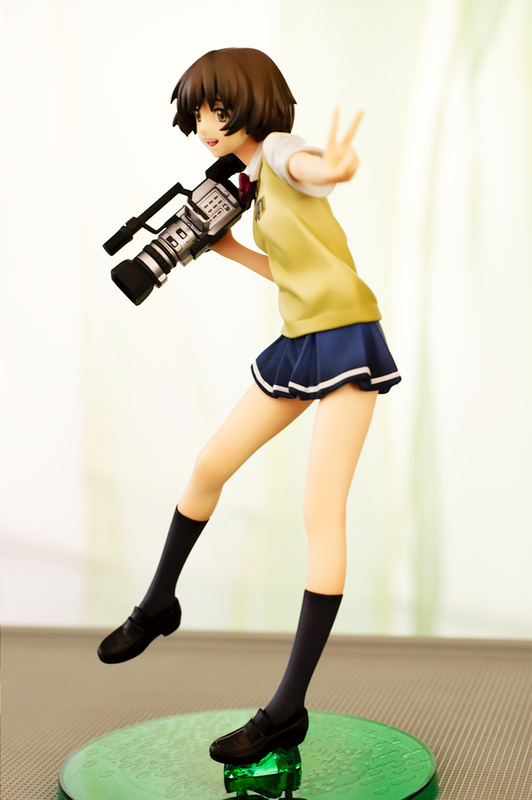 Yup these are her big charm points and the videocamera is a nice accessory for her. I think she looks nice, but her overall appearance is too plain for my tastes. 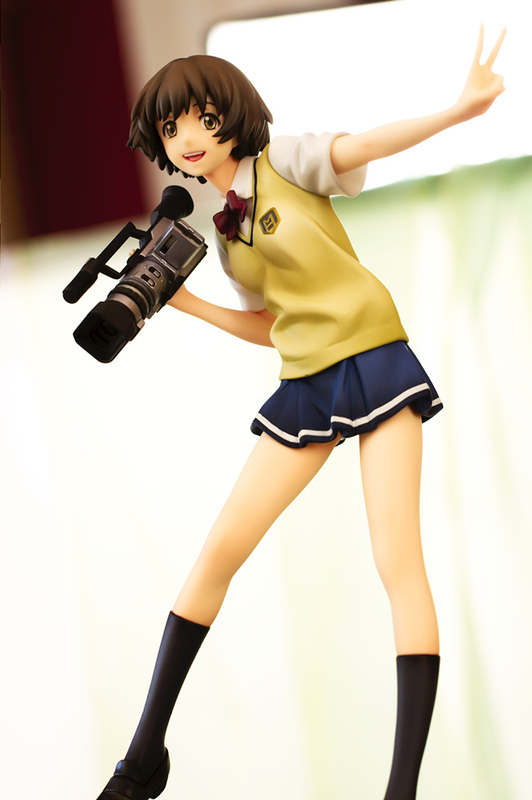 The details on her videocamera are really impressive though, Alter always seems to excel in that area. Yeah thats somehow understandable, the slipove just has this boring flair around, but overall she has a nice design. I guess it’s easier to like her when you’ve watched the anime. Such details makes the little difference. Yay 😀 They did a good job with this camera. Yeah she is, Well I’d say in most cases their figures are spot on, but sometimes the faces weren’t always spot on in the past. @Bakayaro, Hallo und vielen Dank. Ja, die Uniform zieht den Gesamteindruck zuerst etwas runter, aber schnell sieht man das sie auch mehr zu bieten hat. Pose und Ausdruck wirken sehr fröhlich und lebendig. Ja schau es dir ruhig an, ist mal ein etwas anderer Sunrise anime. danke nochmals. I’m amazed that the lens and viewfinder actually have clear lastic parts.. I love little details like that so much. Thank you for the review and the pretty pictures, it seems like you got her for a really good price too. I’m surprised she was that cheap. @Zai, Well, same here, but I went out of my habit and ordered Ryoko 😉 She turned out in a very well in an adorable way. Its a nice little detail, as I noticed it I smiled brightly. You don’t like school uniforms? 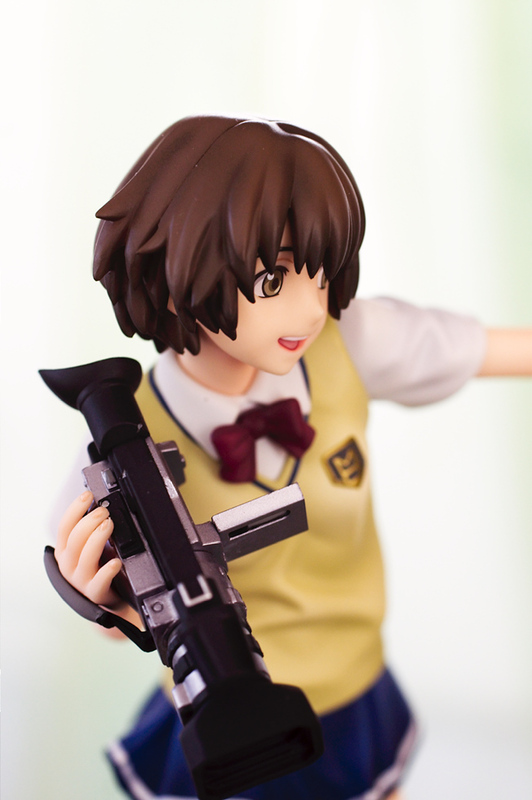 >.< I always enjoy seeing Alter figures. They make gorgeous, high quality figures. I've never watched Zegapain before but based on your description of Ryoko, I can say this figure reflects her personality very well. They are quite reliable in terms of quality, which is a plus, haha yeah it does.